Guillermo del Toro is one of the greatest directors of our times who can handle any genre with ease. In Pan’s Labyrinth, he effortlessly fused the story of a war-torn Spain and dark fantasy elements. Intense visuals and striking colour palletes is del Toro’s expertise. So, when he went on to direct Pacific Rim, he made sure to add those aspects to a Hollywood blockbuster. A movie where giant robots and monsters fight mostly ends up as a generic action flick. However, del Toro turned all the on-screen carnage into a poetry. The painstaking attention to detail and beautifully choreographed action were never before achieved on such scale. On multiple viewings, you notice how each mech Jaeger (hunter in German) looks photo-realistic with rust texture and exposed hydraulics. It is nothing like Michael Bay’s garbage movie franchise, Transformers, which had no depth or a sense of direction. Unfortunately, despite rave reviews, Pacific Rim wasn’t a commercial success. A sequel seemed impossible. However, devoted fans-base made the studio executives write a cheque for another movie. Now, four years after the original, the sequel is ready and its first trailer has landed on YouTube. 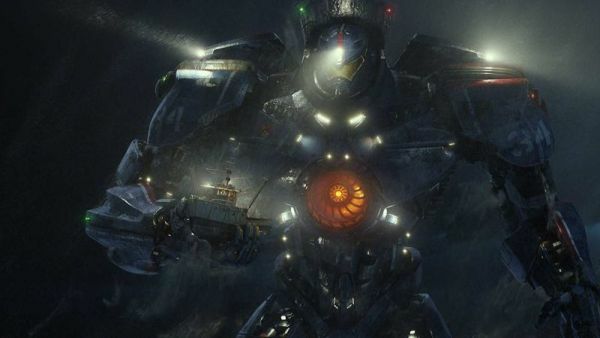 The good news is that Pacific Rim is back, the bad news is that the sequel is not directed by del Toro, and the ugly bit is that the movie looks trash. It lacks every aspect of the original that made it so great. For starters, the visuals are awful. CGI looks flat out cheap with absolutely no fucks given to quality. The Jaegers look and move like Transformers. Action choreography and cinematography are abysmal. The trailer fails to trigger any sense of dread or awe when these giants fight on the screen. I wish that my assessment is incorrect and we will get to see a good movie next year. To jog your memory, here’s the trailer for 2013’s movie. Technology editor, movie buff, and wannabe space explorer.